Black Leather Swivel Seat Wood stools make a beautiful statement in the home when wanting to achieve an elegant arrangement. 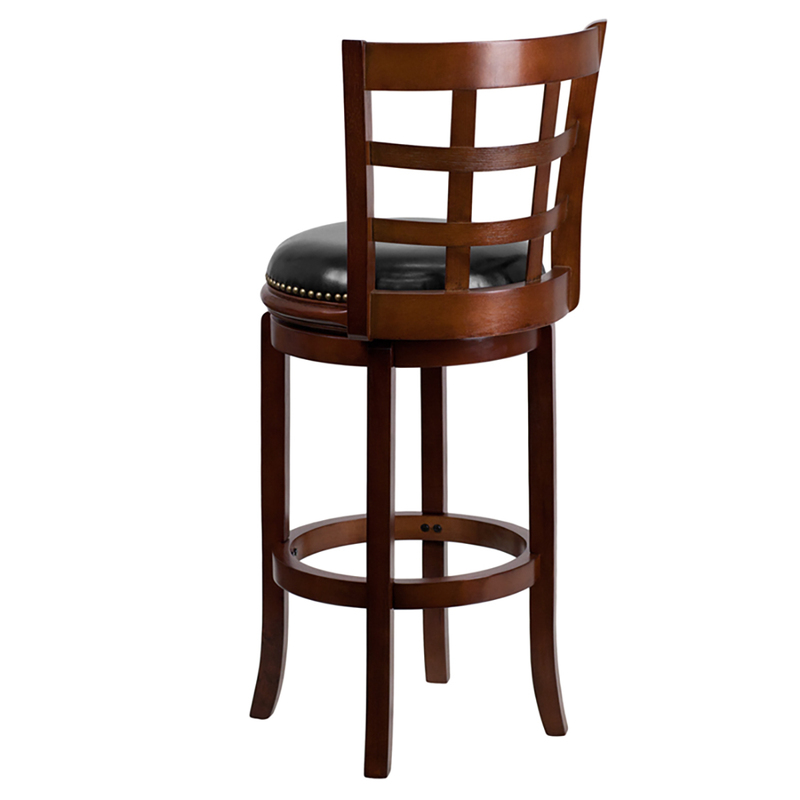 Place this stool in your kitchen, dining room or bar area. This stool is adorned with decorative nail trimming on the seat and bowed out legs.? ?A full 360 degree swivel and footrest ring provides comfort and ease.